It is with great sadness, we announce the passing of our beloved and beautiful mother, Gemma Iusso, at the age of 94 on November 25, 2018. She is predeceased by her devoted husband Mario Santin. Caring and cherished mother to Sergio, Lucy and Nadia. She will be remembered by all her many relatives in Italy and Belgium whom she loved so dearly and also by her dear friends in Canada. Visitation will be held at Bernardo Funeral Home (2960 Dufferin St., south of Lawrence Ave.) on Wednesday, November 28, 2018 from 9:00am-11:00am proceeded directly by a funeral service celebrated within the funeral home. Burial will follow at Holy Cross Cemetery (8361 Yonge St., south of Highway 7). In lieu of flowers, donations in memory of Gemma may be made to the Alzheimer Society and Diabetes Canada which would be greatly appreciated by the family. 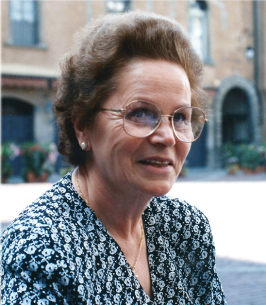 To plant a tree in memory of Gemma Delfina Iusso (Del Fabbro), please visit our Heartfelt Sympathies Store. We encourage you to share any memorable photos or stories about Gemma. All tributes placed on and purchased through this memorial website will remain on in perpetuity for future generations.